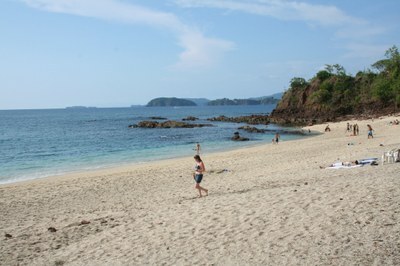 Playa Conchal, Guanacaste, Costa Rica, is one of Costa Rica's truly most precious beaches. Just south of Flamingo and Brasilito Beach. 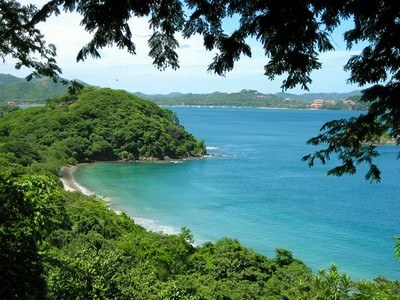 Only two things come to mind when you hear Playa Conchal: Incredible beautiful beach and West In Exclusive Beach Resort. 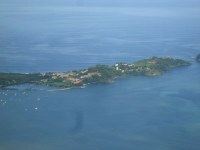 Playa Brasilito is a fishing village between Playa Flamingo and Playa Conchal. 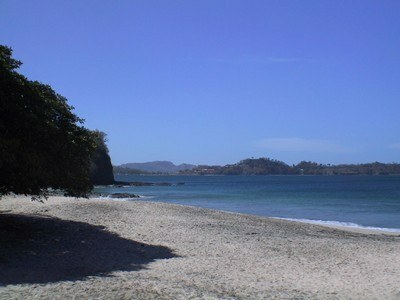 This still very traditional beach community is named after the Brasilito tree found here. These well hidden beach is named after Pirates who are said to have hidden their treasures in the caves along its coastline and islands that are all within in swimming distance. 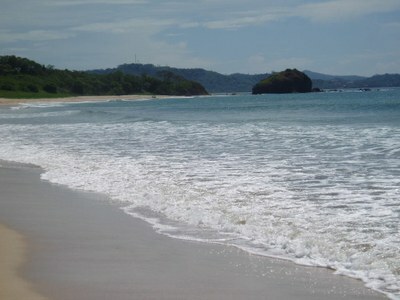 Playa Ventana is located just to the north of Playa Grande. 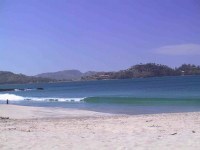 This beach is known for privacy and seclusion and its pure white sand and proximity to Playa Grande famous for the turtles and surf. 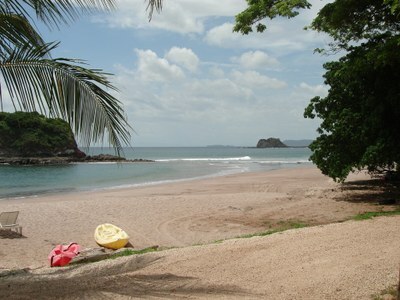 The greater Playa Tamarindo area is one of the more well-known surfing towns in Costa Rica. 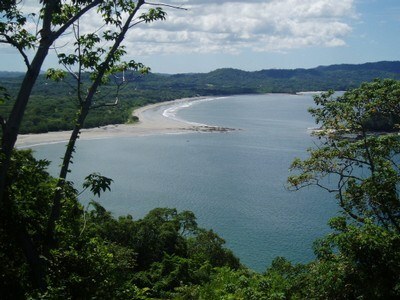 Tamarindo Beach grew out of a fishing and surfing beach community to a major coastal town of Costa Rica's rather rural coastline within the past decade. 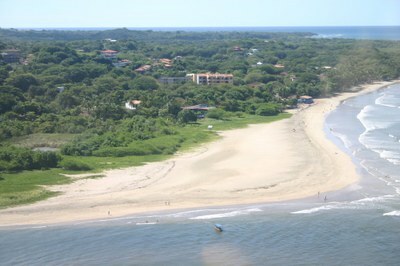 Playa Tamarindo truly exemplifies how surfing can drastically increase developmental growth. 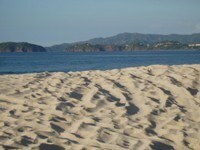 Located just North of Flamingo, this beach spans the sheltered Potrero Bay that runs a length of almost 4 kilometers. 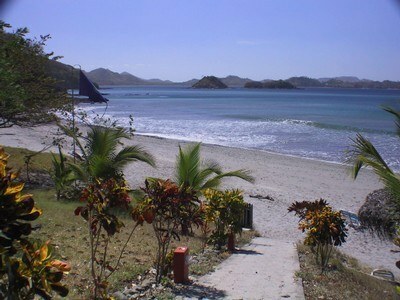 This coffee colored sand beach is bordered on one end by the Flamingo Marina and the other by the Potrero town center. 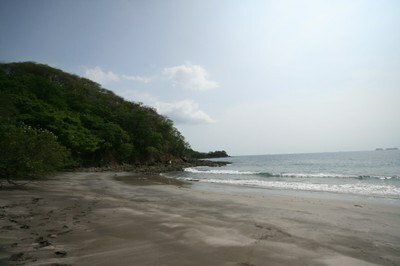 Sugar Beach is a beautiful, secluded beach 20 minutes north of Playa Flamingo. 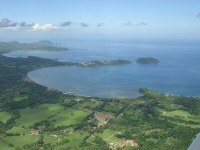 The pictures here illustrate the gorgeous view of the Flamingo North Ridge, Bahia Potrero, Isla Plata, Conchal Beach, and the Catalina Islands in the background. 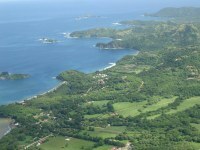 Playa Penca lies between Playa Potrero and Playa Azucar. The only access road to this beach runs south out of the Potrero town center, yet it remains a well hidden treasure despite its obvious white sands that can be seen from miles away. Located only 15 minutes from Flamingo, Playa Prieta is a favorite beach among locals that offers clear waters and a tranquil getaway.